Egypt has an old civilization. Over time wisdom of any faith group should have accepted commion sense and mutual respect as one of the pillars on which a certain conduct has developed.Praise and peace to all who responded to the call to manifest these good qualities. God bless these good people for standing up. They want Peace in their country and are prepared to stand up to claim what is their right. A proud moment for the entire country. WHERE WERE THOSE BRAVE ENLIGHTENED MOSLIMS 20 TEARS AGO?. GREAT MOVE ,I HOPE IT IS NOT TOO LITTLE TOO LATE. 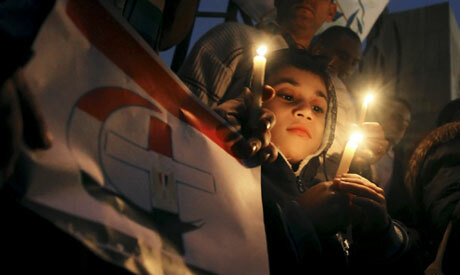 EGYPT STILL IN DANGER OF MORE CIVIL UNREST UNLESS SHOWING OF SOLIDARITY CONTINUES.